The Pura Goa Giri Putri Cave is underrated and underestimated! This location is not as popular as some of the other spots on Nusa Penida such as Kelingking Secret Point Beach and Rumah Pohon Tree House, though it is a must-see attraction on Nusa Penida island. Curious to know what Camera Gear & Travel Essentials I carry while backpacking around the world? I have put together THIS LIST of items to consider packing on your next adventure! 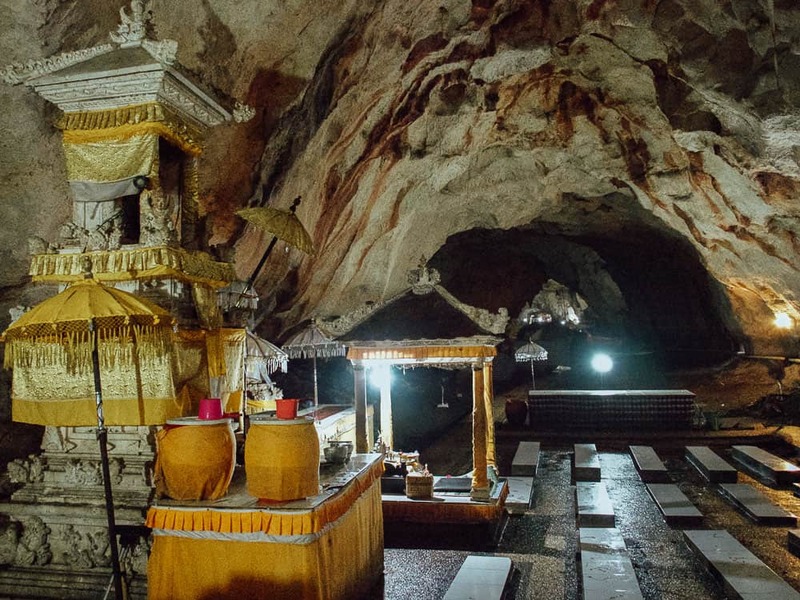 Pura Goa Giri Putri cave temple is located on the north-eastern tip of the island. From the main harbour of Toya Pakeh, it is approximately a 30-minute ride. There are a number of scooter rental shops on the beachfront at the harbour that will be able to sort you out with some wheels. My friends and I paid 70,000 Rupiah ($7) per day with a full tank of gas. This was the lowest price we could haggle for, the locals wouldn’t drop their price any lower. Be sure to get a helmet as an extra precaution for riding on the roads in Nusa Penida as they are not very well maintained with potholes and loose gravel everywhere. There is a small carpark at the entrance to Goa Giri Putri Temple and here you will also be asked to put on a sarong which they rent out for 5,000 IDR (50c) before being allowed entry to the temple. 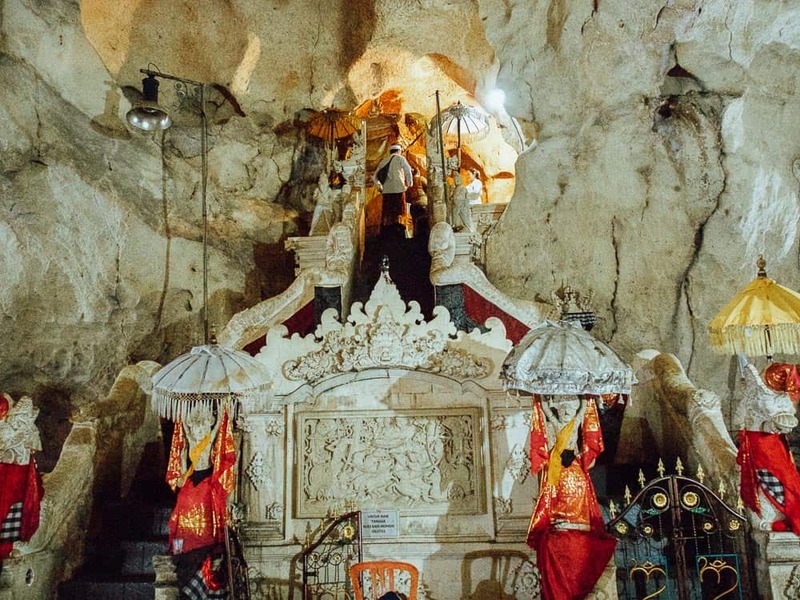 Take the winding staircase midway up the mountain and you’ll be greeted by a man that will bless you with some holy water to the forehead. The entrance fee is by donation so we each paid 20,000 IDR. 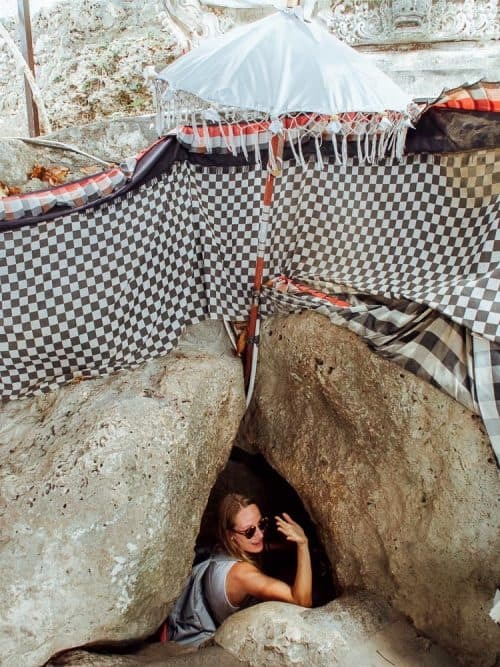 At first, I thought the man was joking when he said “enter here” and pointed to a small crack in the rock. It was a challenge trying to squeeze through this crack with my backpack and then having to crawl down into the cave. 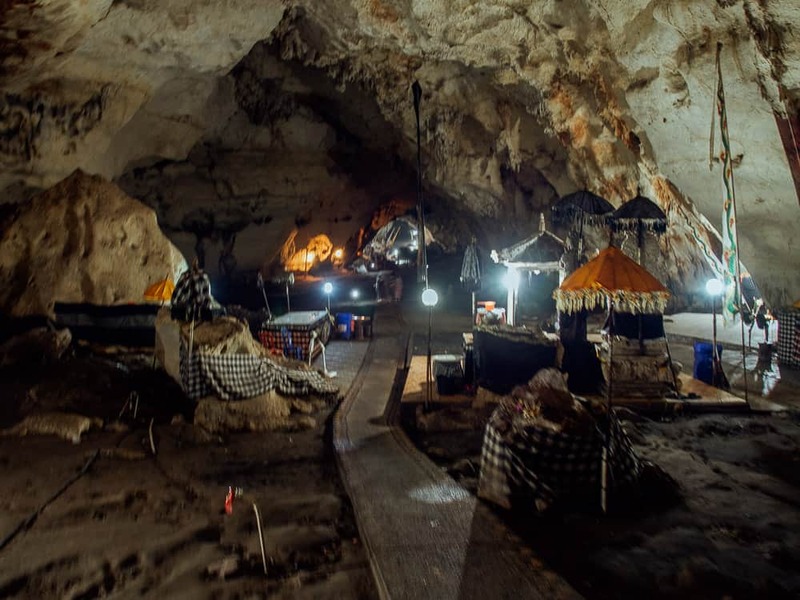 I was absolutely jaw-dropped at how insanely huge the Pura Goa Giri Putri cave is, my guess is 300 meters long and 15 meters tall. It was like walking into a scene from the movie Alice In Wonderland, from feeling too big to squeeze through a tiny hole in a rock to feeling like the size of an ant once inside the cave. 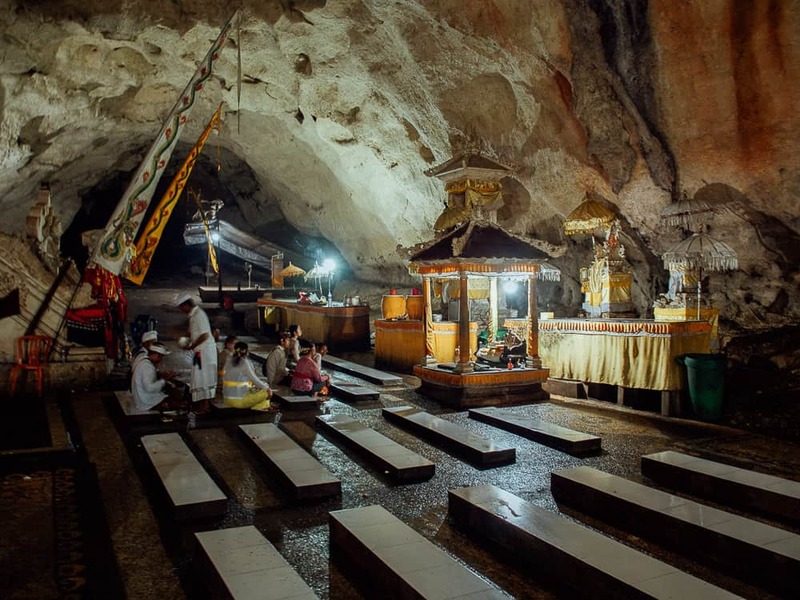 We wandered deeper into the Pura Goa Giri Putri cave and stumbled upon a small group of locals sitting in prayer around an altar. Incense filled the air and we pretty much went un-noticed as we walked around the cave. 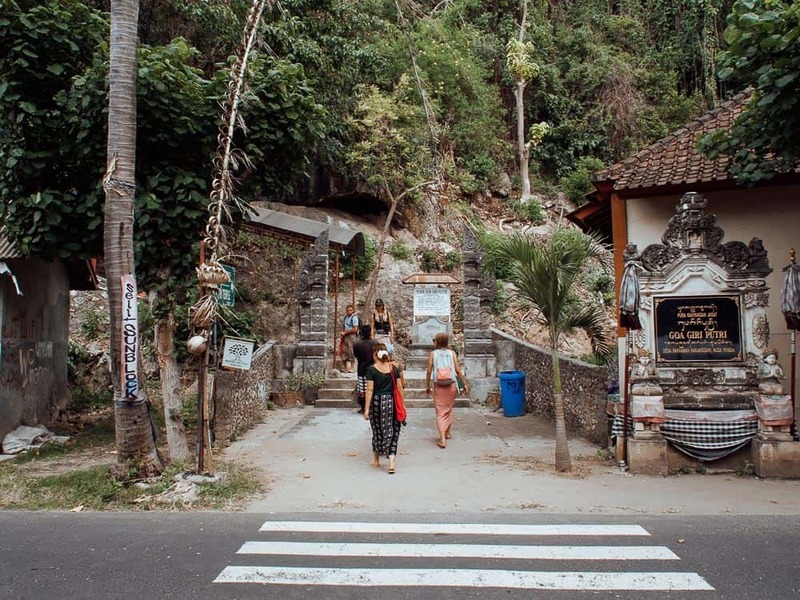 Follow the pathway to the end of the Goa Giri Putri cave to a viewpoint of a small village in the lush green mountainside. You can exit the cave here or head back the same way you came and crawl back through the hole in the rock. 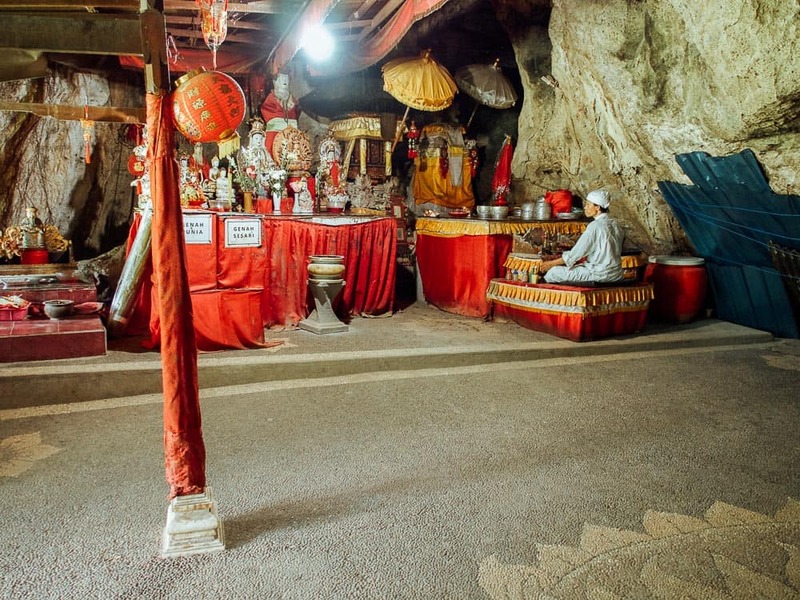 I was lucky enough to experience a local man playing some very nice tunes on his steel xylophone in front of another altar at the end of the Pura Goa Giri Putri cave. After he finished playing, he introduced himself to me and asked where I was from. I said “I am from Australia”, and he was quick to respond “G’day mate.” If you have been to Indonesia before, you will know what I’m talking about when I say that Indonesian’s are the most genuine and friendly people you will come across. You can visit Pura Goa Giri Putri as early as 7am and until 5pm. 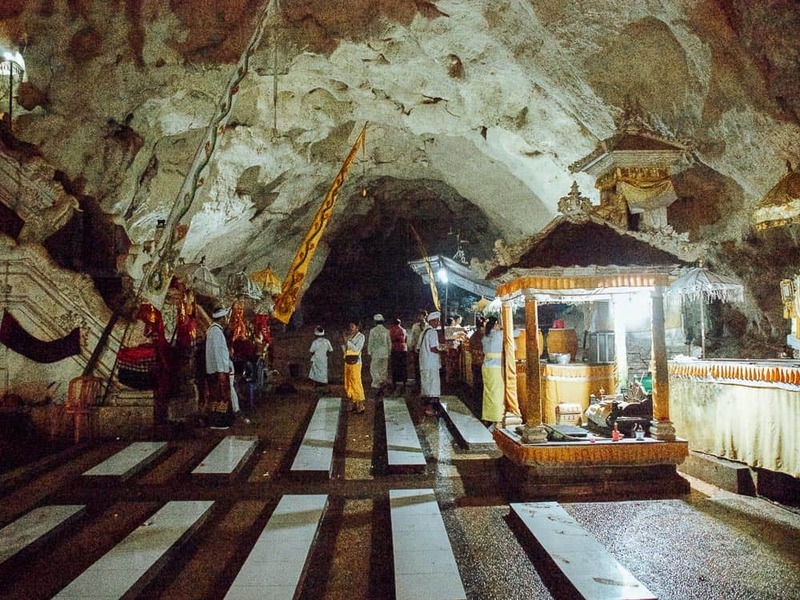 I am to believe that there are mass prayer ceremonies on the weekends where some 100 locals fill the cave. If you are able to, try not to miss one of these mass ceremonies as this would truly be an unforgettable experience. For more awesome things to do on Nusa Penida Island, check out my Ultimate Nusa Penida Guide. For all other accommodations on Nusa Penida Island, you can click HERE to search on booking.com. 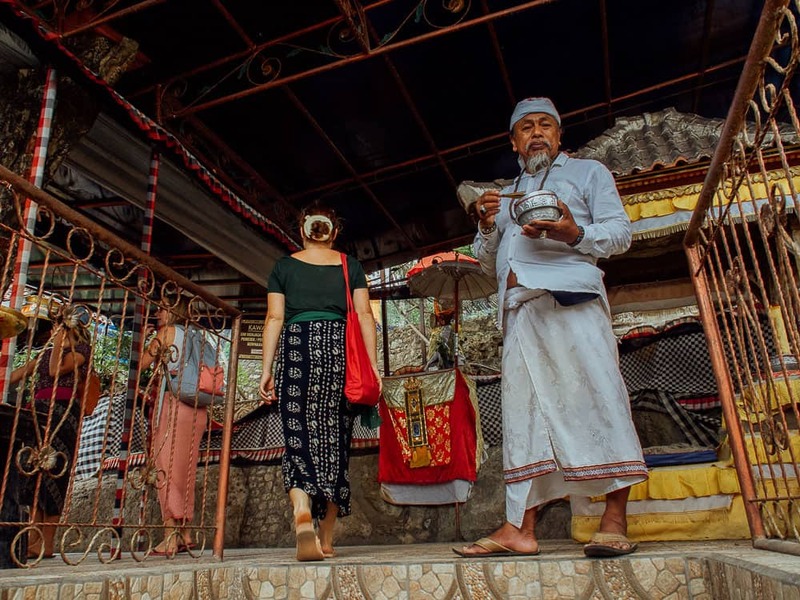 I hope you enjoyed reading this article and if you have any questions about Pura Goa Giri Putri please drop me a comment below! I definitely agree the Pura Goa Giri Temple should not be missed. It was an amazing experience on the island. Thanks for filling in information I missed while we were there. It is such a cool experience right! Glad you love it. Hi and thanks for visiting my blog! 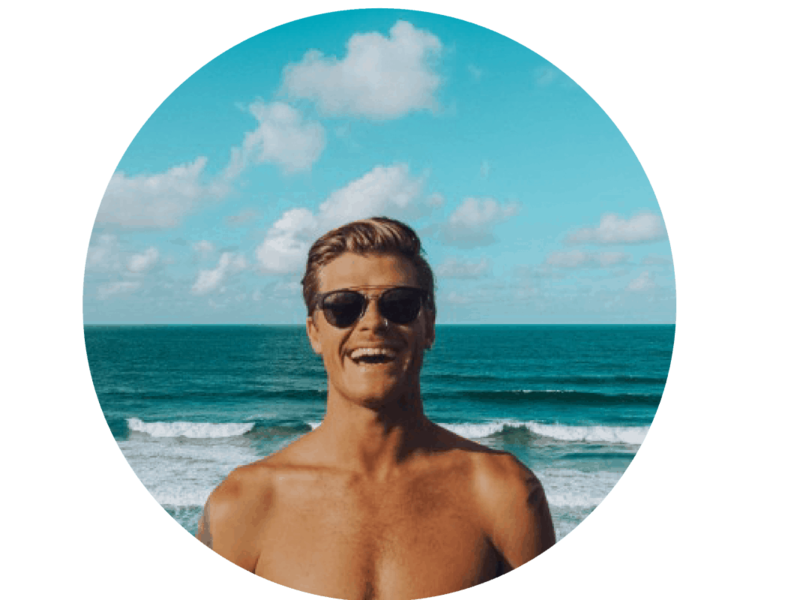 I’m Jonny Melon, a 26-year-old backpacker from Australia. 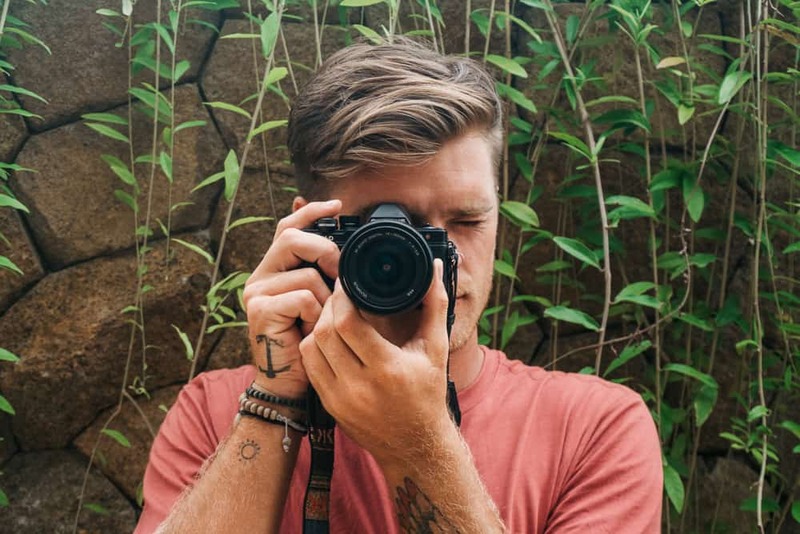 I am an adventure enthusiast with a passion for photography and travelling the world on a budget. I create free travel guides to help you explore this wonderful earth.Let the journey begin!